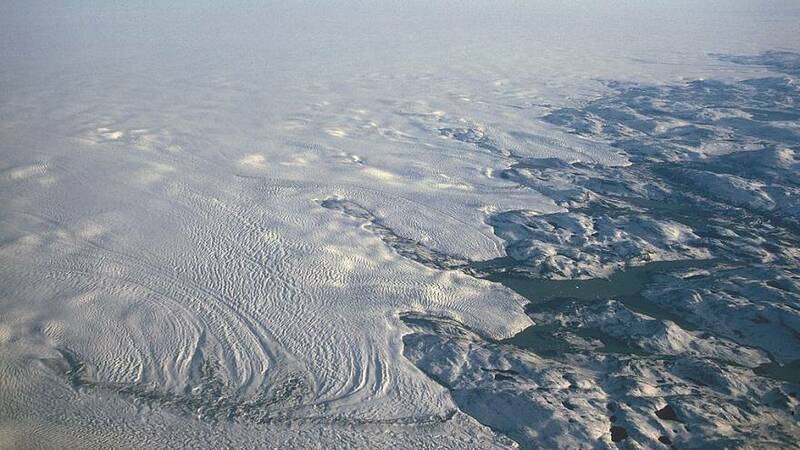 US space agency NASA has discovered under the Greenland ice a second crater it believes may have been formed by a meteorite crashing into Earth. The discovery came just three months after a crater found beneath the Hiawatha Glacier, some 183km away, was confirmed as being the result of an asteroid. If similarly confirmed, the 36.5-km-wide crater would be the 22nd largest impact crater found on Earth. It was uncovered after NASA glaciologist Joe MacGregor studied satellite imagery of Greenland and spotted a circular pattern. He then used raw radar images generally used to map the topography of the bedrock beneath the ice and saw that several distinct features including a flat, bowl-shaped depression in the bedrock with an elevated rim, were buried under the ice. "The only other circular structure that might approach this size would be a collapsed volcano caldera," MacGregor said in a statement. "But the areas of known volcanic activity in Greenland are several hundred miles away. Also, a volcano should have a clear positive magnetic anomaly, and we don't see this at all," he added. Despite their proximity, NASA does not believe the two craters under the Greenland ice were formed during a single event. "The ice layers above the second crater are unambiguously older than those above Hiawatha, and the second crater is about twice as eroded," MacGregor explained. Only two pairs of impact craters located in Canada and Ukraine are thought to have been formed at the same time.